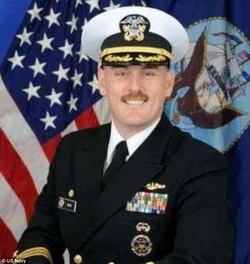 Navy Cmdr Michael P Ward II was relieved of his duties on board a nuclear submarine after it was revealed that he had faked his death to end an extra-marital affair. The lady with whom Ward was having an affair received an email from a fictitious man ‘Bob’, stating that Ward had died. Ward’s mistress discovered that he was still alive when she went to his house to pay her respects. Ward had moved house and the new owner passed this information on to the mistress.